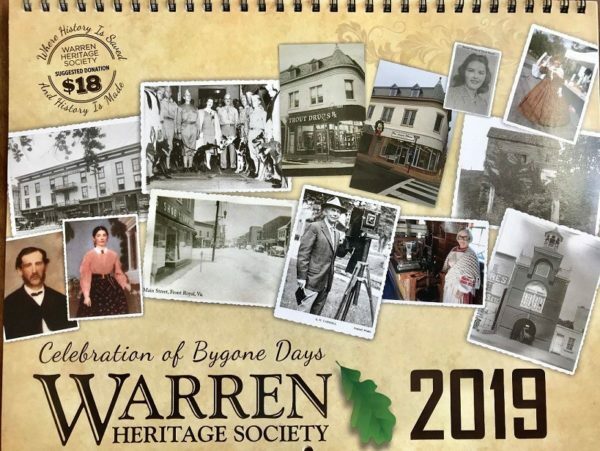 Get your 2019 Calendars and support Warren’s Heritage! This calendar is filled with beautiful, historic memoir that you will be sure to enjoy viewing each month. This purchase acts as a donation to the Warren Heritage Society, as you are helping us save and make history in Front Royal and Warren County, Virginia! The calendars are available for Free Pickup or $4 Shipping. We will notify you when your order is ready for pickup. Thanks!